The GCC Standardization Organization (GSO) has a General-Secretariat to run its affairs. The General-Secretariat shall be presided by a Secretary- General who will be appointed for a period of three years renewable for only another office period. Currently Holds the position as Secretary General of GCC Standardization Organization (GSO) Since April 2018. 2004: Master of Economics – University of Hull, United Kingdom. 1998: Bachelor of Economics, Cardiff University, UK. 1984: Diploma in Business Administration – University of Bradford, UK. 2015: Certificate in E-Learning of the World Trade Organization. In an introduction to the World Trade Organization with an excellence degree. 2016: E-Learning Certificate of the World Trade Organization in the Treatment of Harmful Practices in International Trading. 2016: Certificate in E-Learning for the World Trade Organization Technical Barriers to Trade with distinction. 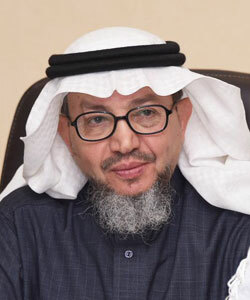 His Excellency Mr. Saud Al-Khusaibi holds a Master’s Degree in Economics from the University of HULL in the United Kingdom and received a Bachelor’s Degree from Cardiff University in the UK. November 2014 – April 2018: The General Directorate of Organizations and Commercial Relations – Ministry of Commerce and Industry, Sultanate of Oman. Directing, guiding and monitoring policies and decision-making at the executive level of the activities of the General Directorate of Organizations and Commercial Relations, which include supporting and strengthening trade relations with different countries of the world. Activate the role of joint committees and regional and international organizations and supervise the Sultanate of Oman’s office at the World Trade Organization in Geneva. 2014 – 2007: Director General of the General Directorate of Standardization and Metrology – Ministry of Commerce and Industry, Sultanate of Oman. 1996 – 2007: Director of the Department of Industrial Planning and Studies – Directorate General of Industry, Ministry of Commerce and Industry, Sultanate of Oman. 1990 – 1996: Director of the Center for Industrial Statistics – General Directorate of Industry, Ministry of Commerce and Industry, Sultanate of Oman. 1988 – 1990: Statistical – Directorate General of Industry, Ministry of Commerce and Industry, Sultanate of Oman. 2014 – 2011: Member of the Board of Directors of the Public Authority for Consumer Protection. 1998 – 2003: Member of the Board of Directors of Oman Oil Refinery representing the government share. 1998 – 2003: Member of the Board of Directors of Oman Chromite Company representing the government share. 2004 – 2009: Member of the Board of Directors of Oman Mining Company representing the government share. Attending local and regional meetings and conferences: Codex Alimentarius Commission (CODEX), GCC Standardization Organization (GSO), International Standardization Organization (ISO), International Electrotechnical Commission (IEC), etc. Courses in computer and information technology. Leadership courses and team building. Participation in working papers on standards and metrology in local, regional and international conferences and seminars. Attending the 10th Ministerial Conference of the World Trade Organization (Nairobi, 15-18 December 2015). Attend a workshop on the scheduling of the World Trade Organization of the work of the post-Nairobi and its impact on the Arab States (Amman, 22-24 February 2016) Organized by the Islamic Development Bank and the Organization of ESCWA. Attending the “Trade and Development of the Arab States” workshop (Abu Dhabi, 19-21 April 2016) organized by the World Trade Organization and the Arab Monetary Fund. Attending a Workshop Protecting Gulf Industries from Harmful Practices in International Trade (Dumping / Support / Prevention) (Muscat, 19-22 October 2015). Organized by the Technical Secretariat of the Standing Committee for Combating Harmful Practices in International Trade and the Oman Chamber of Commerce and Industry. 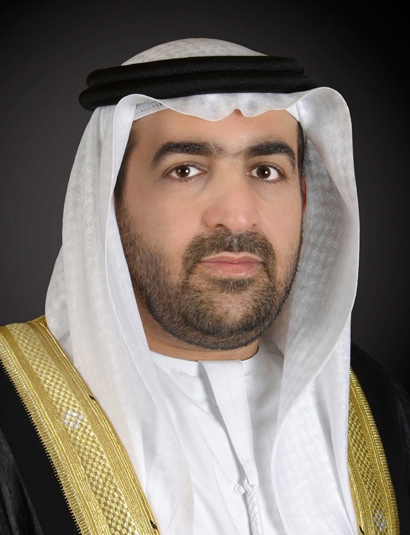 Ministry of Environment and Water (MOEW) Minister in 2008, His Excellency Dr. Rashid Ahmed Mohammed Bin Fahad was appointed as minister of UAE environment and water. He was born in 1964 in the emirate of Dubai. In addition to his ministerial position, he has been holding the position of chairman of Emirates Standards Authority since 2008. His Excellency Dr. Rashid obtained Ph. D. in civil engineering (Environment hygiene) from the University of Strathclyde, Scotland (UK) in 2001. He also holds Masters Degree (Ms. Sc.) in Ecology from the UAE University-Al Ain, where he graduated in 1994. In addition, he holds bachelor degree (B. Sc.) in chemical engineering from North Eastern University, Boston-USA in, where he graduated in 1989. Secretary General for GCC Standardization Authority-Riyadh (KSA) from 2004 to 2008. Deputy Chairman of Emirates Authority for Standardization & Metrology Cooperation (ESMA) from 2005-2008. Deputy General Manager of Emirates Authority for Standardization & Metrology Cooperation (ESMA) from 2003 to 2004. President of Food and Environment Lab-Dubai Central Lab Department-Dubai Municipality from 1997 to 2003. Operations Manager-Dubai Municipality from 1989 to 1997. Board member of American Society for Testing and Materials (ASTM International). B.Sc. in Petroleum Engineering – Riyadh University – Kingdom of Saudi Arabia. Secretary-General of the Standardization Organization for the Cooperation Council for the Arab States of the Gulf (GSO). Advisor to the Secretary General of the Cooperation Council for the Arab States of the Gulf. Director of Scientific and Technical Cooperation Department (Nuclear Energy Issue) – General Secretariat of the Cooperation Council. Director of Energy Department (Oil, gas, petrochemicals and metals) – Secretariat General of the Cooperation Council. Assistant Professor – Faculty of Engineering – University of Bahrain. Petroleum Engineer – Bahrain Petroleum Company. H.E. Received a B.S. in Chemistry/Biology, from King Saud University, Riyadh/KSA in 1974 and M.A. in Chemistry, University of Denver, Colorado, USA, 1978. H.E. 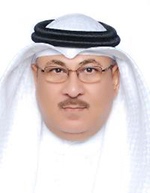 was the Governor of Saudi Standards, Metrology and Quality Organization (SASO) (2005-2012). H.E. led the GCC Accreditation Center (GAC) to be an internationally recognized body in (ILAC) when he was the Director General of the GCC Accreditation Center (GAC) until 20 June 2016. H.E. is Member of many National and International Organizations, such as Member of ISO Council (2011-2012), Member of the Council of Saudi Food and Drug Authority (2005-2012), Member and Secretary-General of King Abdul-Aziz Quality Award (2005-2012), Member of Saudi Consumer Protection Association (2008-2012), Member of the American Society for Quality (ASQ) (2008-2011) and Member of the Board of ASTM International (2014-2016). H.E. Represented the Kingdom of Saudi Arabia in many meetings of Regional and International Standardization Organizations (GSO, AIDMO, ISO, IEC, OIML, BIPM, ILAC, IAF).